As much as weighing your food and counting/recording calories in it before eating can be effective, sometimes it can just be annoying or seem like too much trouble. Well, there is this new gadget for this (sorta) that does it all and quick. 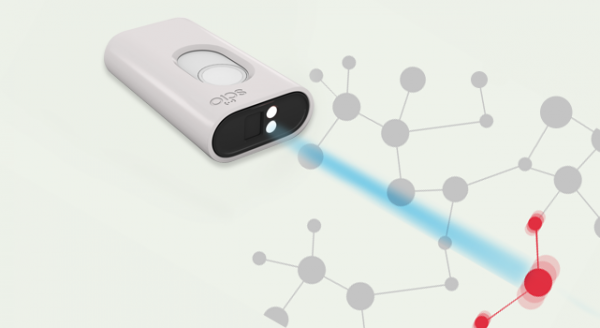 SCiO is a sensor gadget that scans your food and sends data to DietSensor phone app. Based on based on near-IR spectroscopy method the device is breaking down the information it gets from food on a molecular level and is commonly used in labs. The company decided to bring it to the masses and be used in a more mundane way as opposed to scientific or medical application. Compatible with both iOs and Android phones SCiO may not only show you nutritional facts about your food but also tell the well-being of houseplants and identify medicine capsules. Since their database is still growing as more and more people use the device the company promises to release new apps for different types of food and drinks. The gadget comes at $249 and Consumer Physics website also offers a development license and a dev kit. What do you think? This entry was posted in News and tagged calorie counting, diet. Bookmark the permalink.